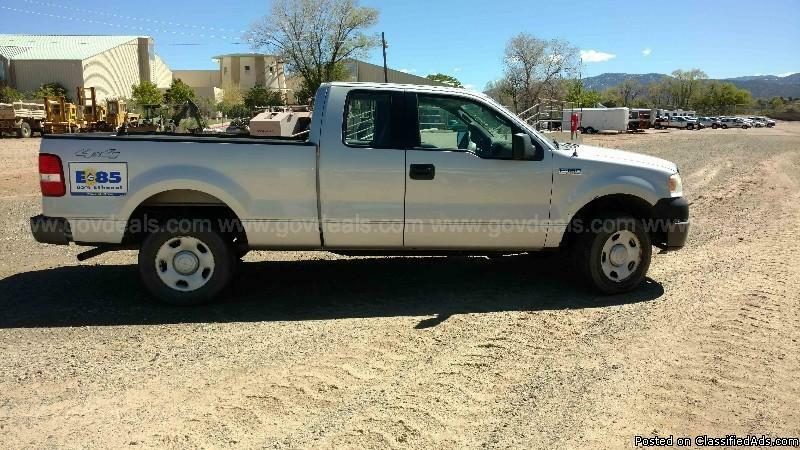 2006 Ford F-150 FX4 SuperCab - Santa Fe, NM - N.A. ONLINE AUCTION. Ends 5.16.17. To view full details, please go to www.govdeals.com and enter 7110-194 in the QAL (Quick Asset Lookup) search box located on the homepage. 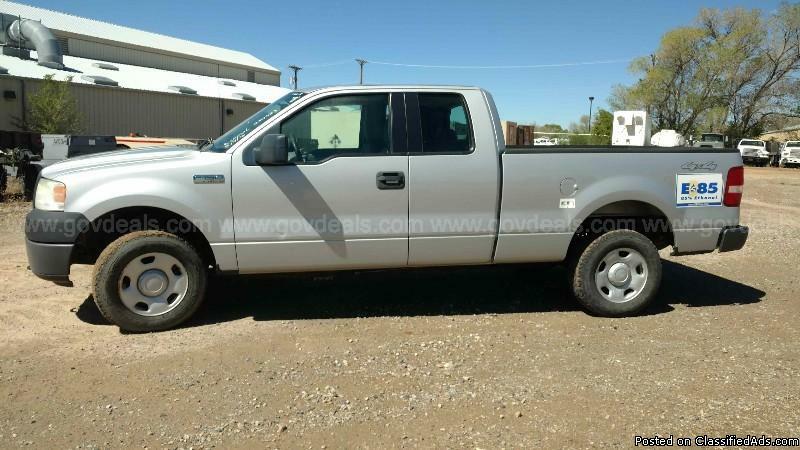 2006 Ford F-150 FX4 SuperCab EXTENDED CAB PICKUP 4-DR, 5.4L V8 SOHC 24V FFV. This vehicle starts with a boost and runs. Silver paint with minor scratches and dings. Tires in fair condition (65%). Crack in the windshield. Interior is grey cloth with a tear on the driver seat from entering and exiting. 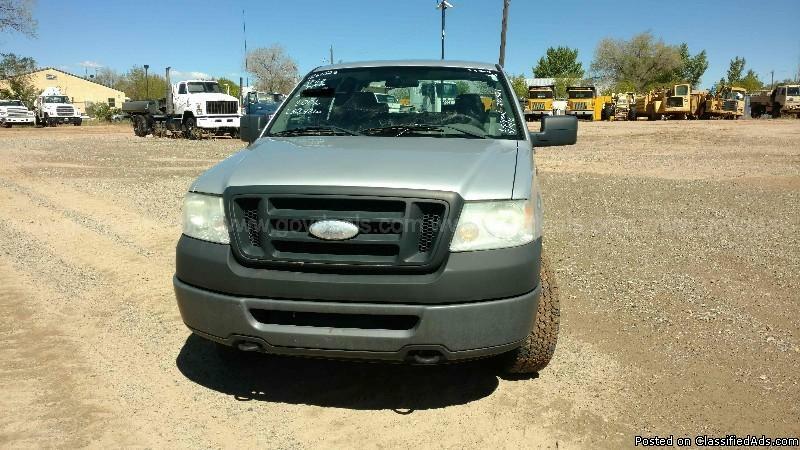 AM/FM, AC, Cruise control, tilt steering, power windows, power door locks.Decals have been removed, but there may be scratches or impressions where decals were removed. Other parts may be broken or missing from what is listed in the item description. Deficiencies when known have been indicated in the item description. The absence of any deficiencies does not mean that none exist. Repairs may be required. If interested in seeing vehicles please call to make an appointment.